NEW YORK (CBSNewYork) — Customers wait for hours every day at the Flatbush Station post office in Brooklyn, and some call it the worst post office in all of New York City. As CBS2’s Ali Bauman reported, customers Monday were demanding answers about the delays. Things can get heated inside the Church Avenue post office. Patience is tested as customers often wait for more than an hour for a package. 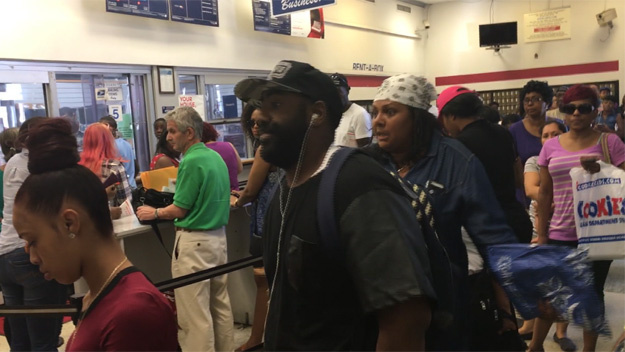 “Everybody’s waiting on line just to get their package,” a customer said.One man even brought his own chair for his stay. “I went for an hour – just stood in for an hour,” said Jet Jeudine.“Most times, maybe an hour plus,” said Joy O’Connor.